What would you do if someone you loved disappeared, leaving behind a cryptic note foretelling her own death? If the investigation stalled out and the police had too many suspects, and too little evidence? 1. Quit your job and take to the airwaves: Almost immediately after her daughter goes missing from inside her high school, Linda quits her job in order to spend all her time looking for Haley. It becomes her full-time priority to get attention for Haley’s case, because she’s sure the more attention her daughter is getting, the harder the police will look for her. 2. Plead with anyone who might listen: Every day, Linda leaves two messages on social media: one to anyone who might have information about her daughter, asking them to come forward. The other directly to Haley, letting her daughter know she’ll never give up, never stop searching. 3. Make sure you get the bigger spotlight: Linda’s ex-husband is claiming Haley just ran away, telling police not to bother looking for her. It was an ugly divorce and Linda isn’t sure if her ex just wants to punish her or if he had something to do with Haley’s disappearance. Either way, she’s making sure she gets more news coverage, so everyone will keep looking. 4. Visit the detective in charge of the case every day: It doesn’t matter how many times Detective Lopez tells her that she’ll call if there’s an update, Linda goes to the station every day. She knows that after a month with no new information, her daughter’s disappearance is in danger of becoming a cold case. So she’s determined to put a face to the victim – and the victim’s family – so often that no one can forget. A popular girl goes missing, and everyone close to her has something to hide. 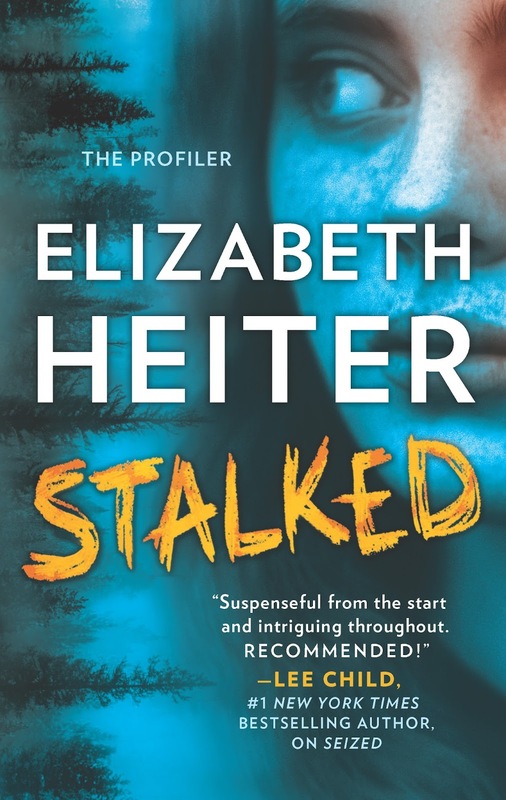 Elizabeth will be giving away a copy of STALKED to one lucky person leaving a comment or email entry. Giveaway ends 11:59pm EST Jan 8th. Please supply your email in the post. You may use spaces or full text for security. (ex. jsmith at gmail dot com) If you do not wish to supply your email, or have trouble posting, please email maureen@justromanticsuspense.com with a subject title of JRS GIVEAWAY to be entered in the current giveaway. Oh wow this book sounds good! Enjoyed what was shared! Thanks Colleen! I'm glad you enjoyed the early look! Thanks, Tammy! Happy New Year! I love this series. I look forward to finding out how Kyle is doing. I enjoyed the excerpt from the book and I'd love to read it. I have always been a little fascinated with profiling, hence my obsession with Criminal Minds, so I can't wait to read this one. Thanks, Linda! 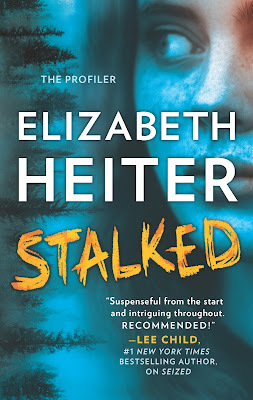 I'm fascinated by profiling too - there are so many interesting real-life profiling books out there by former agents. I hope you enjoy STALKED! Thank you! :) I had a lot of fun continuing Evelyn & Kyle's stories! I got chills just reading the excerpt.